Chinese New Year is coming up on February 19th and it is the year of the Sheep. 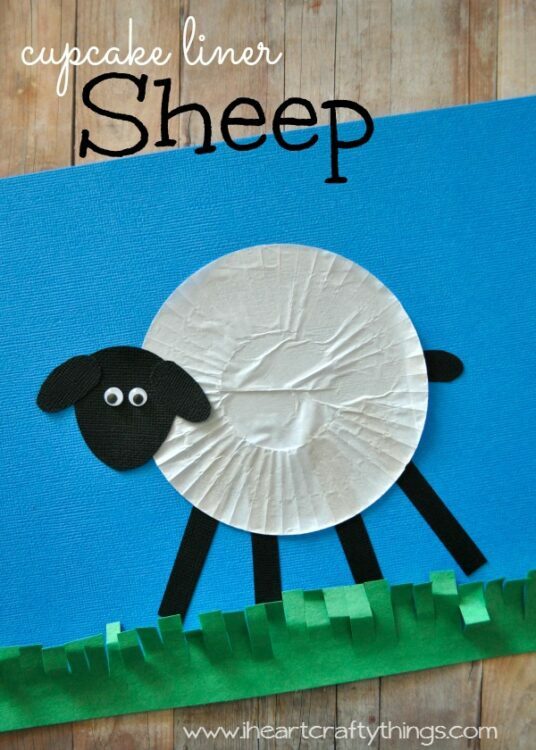 What a great opportunity to make a sheep craft, right?! 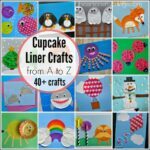 We relied on our trusty cupcake liners and put together this simple Cupcake Liner Sheep Craft that kids are sure to enjoy. 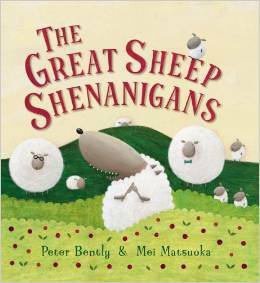 Look for a fun sheep book at the end of this post. 1. Start by cutting out the pieces you need to put together your sheep out of your black cardstock paper. You will need an oval shaped face, 2 oval shaped ears, a small oval shaped tail and four legs. 2. 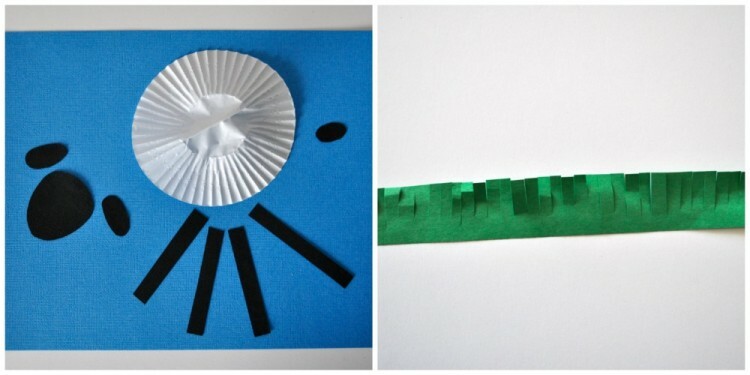 You will also need to cut a strip along the bottom of your green construction paper for grass and cut slits all along the strip for the grass. 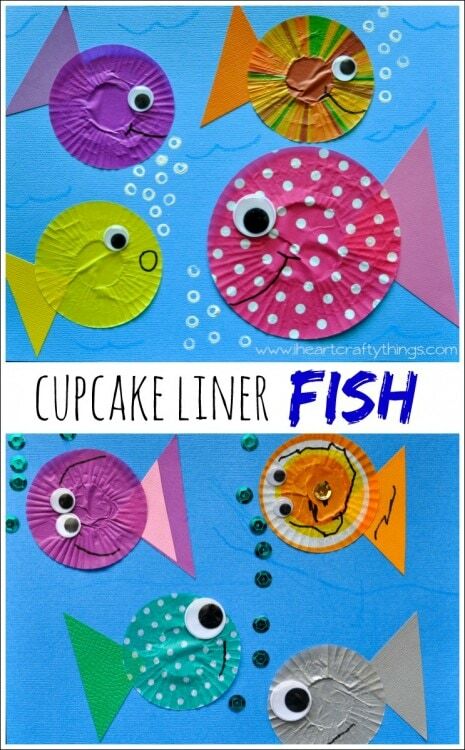 This is fabulous scissor practice for preschoolers! 3. 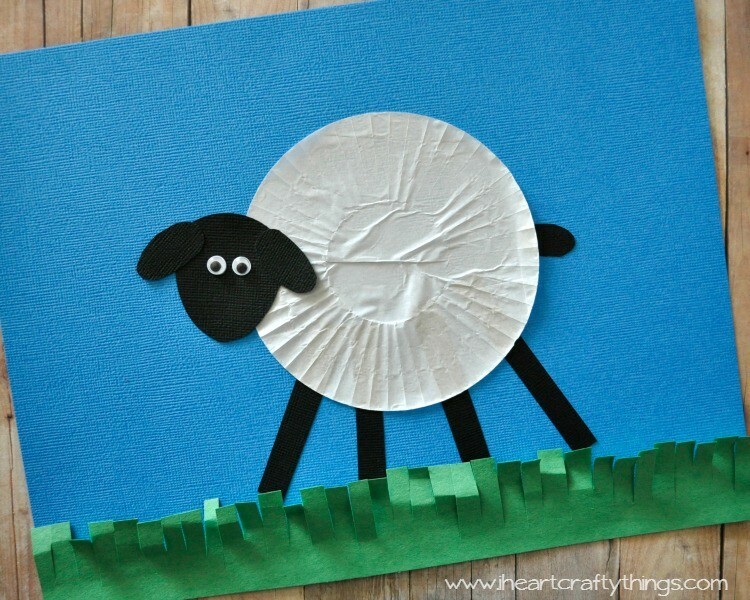 Glue your sheep onto your blue cardstock paper. 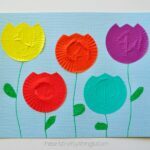 I started by gluing the white cupcake liner onto the middle of the page. 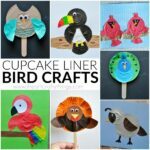 Then I glued on all the legs and tucked them underneath the cupcake liner before it was completely dry. Next glue on the face and ears and lastly, glue on the tail. 4. 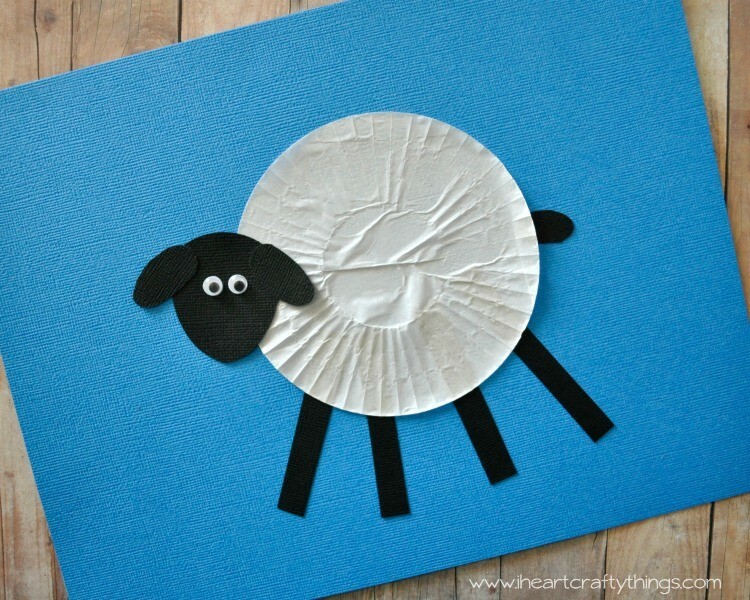 Finish your sheep by gluing on the googly eyes and the grass strip at the bottom of your paper. He is pretty cute walking along the grass huh? He’s probably thinking about chomp, chomping on some of that grass. 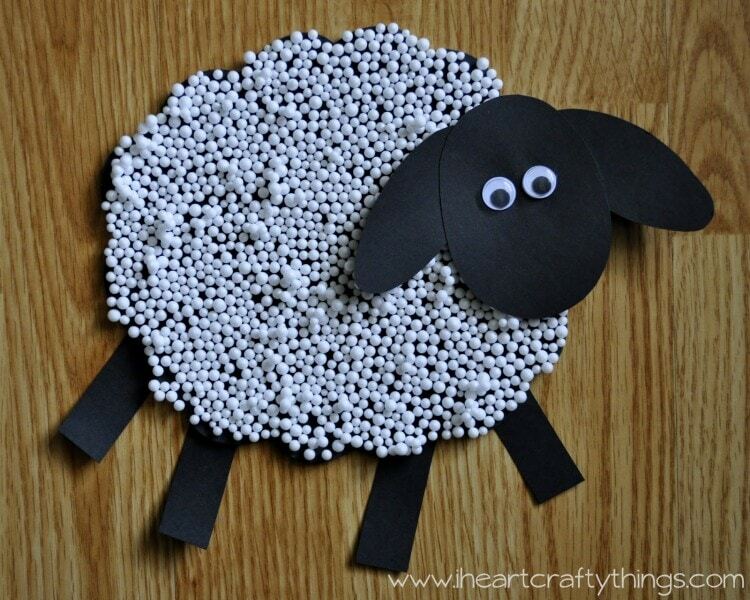 Check out our textured Sheep Craft! It is about a wolf who tries to outwit the sheep to get something tasty to eat, but he isn’t quite prepared for Rambo the Ram. This book is hilarious and so fun!